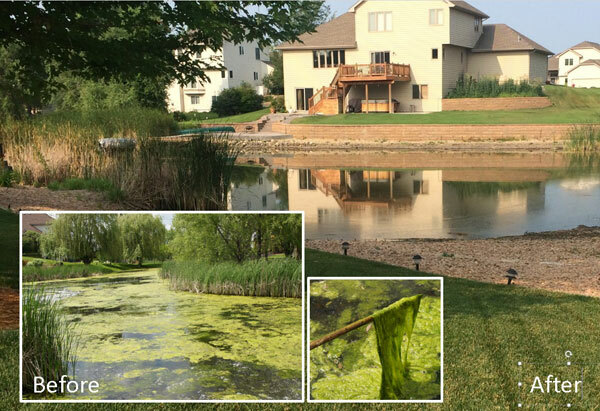 One of the easiest ways for you to treat your pond is to have Lake Restoration do it for you! We service individual homes, homeowners associations, management companies and cities to provide treatment options which fit your needs. All of the products that we use are EPA and DNR approved for aquatic usage and are applied by a trained and state licensed staff. Season long care keeps your pond looking its best! 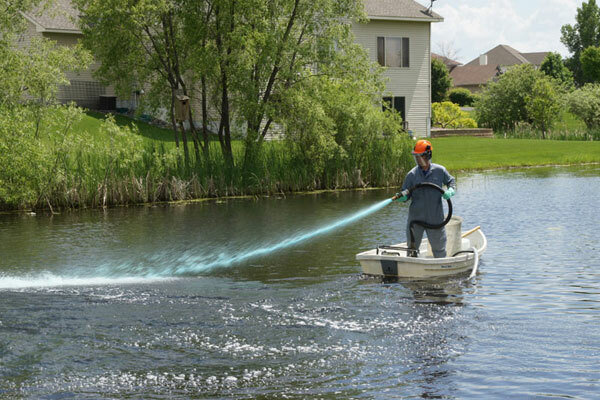 For more information on how we can service your pond, please call us Toll Free 877-428-8898 or in Minnesota 763-428-9777.